This year 53 nations were represented in the race. There were more than 1500 runners from abroad, most of them came from the United Kingdom, the United States, Italy, France and Germany. However, there were participants also from far away places, such as Pakistan, Venezuela, Columbia, Japan or Singapore. 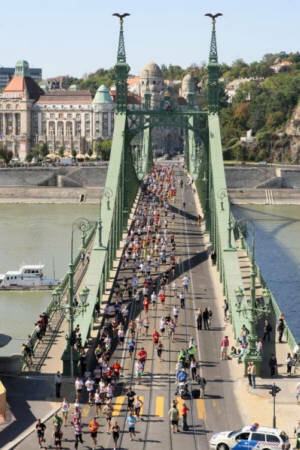 The course of the race led through the most beautiful parts of the Hungarian capital, the runners had the chance to run across the Heroes’ Square, through the very famous Andrássy Street, past the Buda Castle and the magnificent building of the Hungarian Parliament. 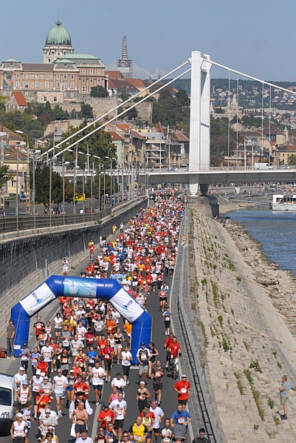 While running, they could admire the breath-taking view of the city from the Chain Bridge. As the race is primarily for non-professional runners, professional athletes were not invited. The winner was a Hungarian resident Ethiopian runner, Erkolo Ashenafi, (1:07:24) The female winner was a Hungarian lady, Papp Krisztina. (1:15:27). 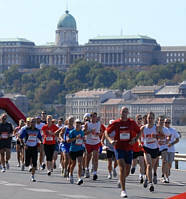 Budapest Marathon Organisation’s next international event will be the 24th SPAR Budapest International Marathon on 4 October 2009. The number of expected participants is 15000. 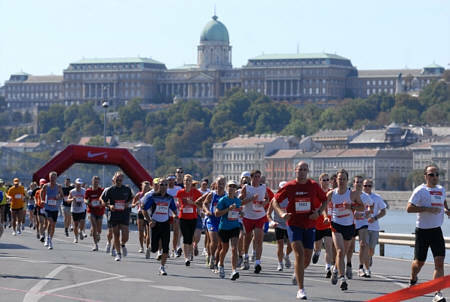 The 25th Anniversary Nike Budapest International Half Marathon will be organised on 5 September 2010.